Are you considering remodeling or designing your bathroom? Since planning a tile layout plays an important role in bathroom remodeling and renovating, several parameters have to be considered while choosing a right tile for your bathroom. Various options are available in the market and they often confuse you while making a selection - let me ask you what will you choose light or dark tile? Glossy, rustic or matt? Big or small? 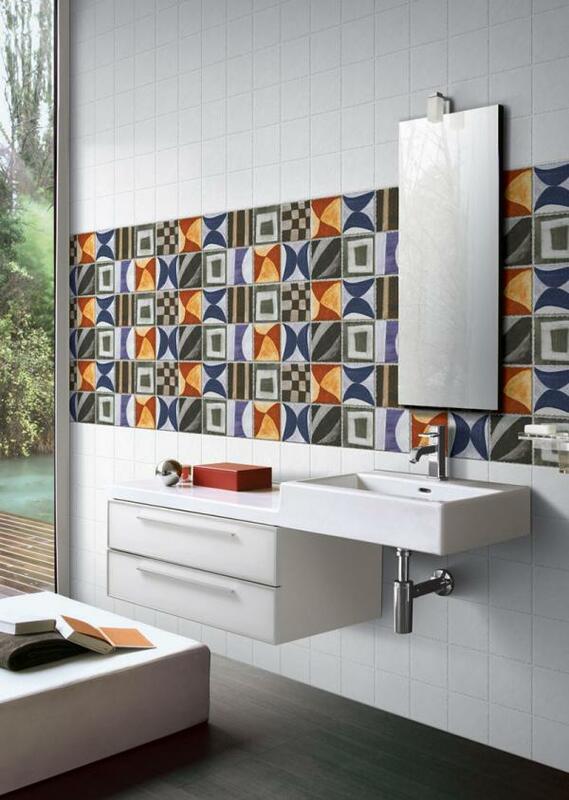 It is a daunting task to choose floor tiles or wall tiles for your bathroom. Therefore, sincere attention is needed on type, design and shape of digital floor tiles and wall tiles to get a perfect look and feel of your bathroom. Here are some tips to help you in choosing your tile, making it easier to narrow down your choices and finally letting you have a clear decision on tile selection to make your dream bathroom a reality. 1. Set your budget Range: First and foremost, it is very important to decide your budget range. Once you have set your budget, tiles under your budget gets filtered out from the rest. 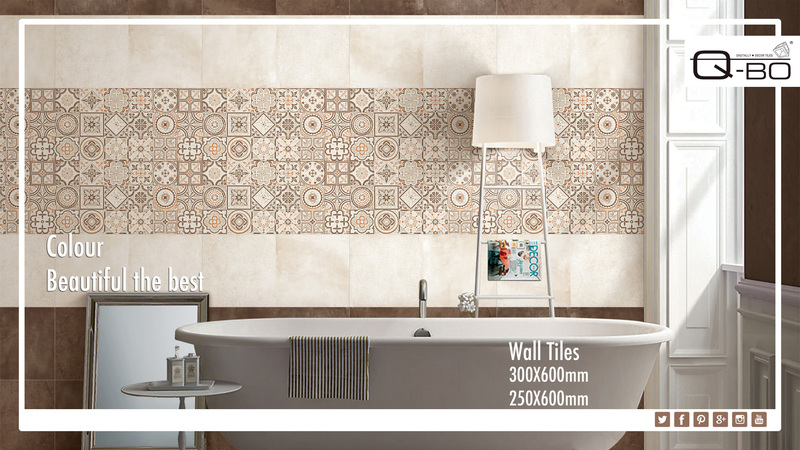 This will make easier for you to make choice of tiles based on your needs and taste. 2. Get to know your tile material: With plethora of designs available, it is important to gain knowledge about available tile materials to choose a correct tile for your bathroom. Mosaic ?Glass tiles: A popular choice for bathrooms, Mosaic glass tiles come in a wide variety of colors and finishes. They are great for creating a unique feature in any bathroom design adds a sleek look to your space. But for floor tiles you need to keep in mind slipperiness of the surface in wet areas. Be sure to check slip ratings, standard and warranty. Ceramic: Ceramic tiles are suitable for a private room like a bathroom, also less expensive than glass tile. Variety of ceramic tiles includes matt, rustic and glossy finish. It gives you endless options for the walls and floor of your bathroom. Easy to clean and maintain makes Ceramic tiles - one of the longest lasting products on the market today. Stone: For a more neutral look, consider stone tile with a natural feel and organic patterns. Pebble and rock tiles offer a unique and textural touch to your bathroom. Porcelain: Porcelain tile is an expensive option featuring a dense, hard surface. It is ideal for bathroom spaces because it is not very absorbent. 3. Choose a color scheme: After understanding and selecting a tile material, put efforts on researching the available color options. There are three important things to keep in mind: the size of your bathroom, overall theme of a room, and your furniture style. If you have a small bathroom then consider installing tile in light colors like soft pastels and neutrals to make space look bigger in size. For bigger bathroom you can go with dark colors or matching with your bedroom colors. For stylish and trendy look Aroma glossy tiles are best fit to make your bathroom trendy. 4. Consider a Tile Size: Tile comes in all shapes, sizes and styles. The latest trend of large format tiles adds a sophisticated, luxurious look that is very appealing and also makes the space look bigger. Similarly 60x30 Glossy and matt Q-BO digital wall tiles too are a major trend and create a captivating look. 5. Finalize your look: Even if you are sure to select a tile, it is always suggested to take a sample of selected tile of your choice to your home and have a real feel of tile in your bathroom. Visualizing in real gives you more clear idea about color size and finish of the tile. Q-BO facilitates their customers to take sample home and see what tile exactly looks a like and allowing them to finalize their decision. If you feel overwhelmed or confused do not hesitate to contact us. We will assist you in selecting your tile. Q-BO is a leading Manufacturer and Exporter of Floor tiles and Ceramic wall tiles in India offering their solution around more than 28 countries worldwide. Q-BO has the wide range of designs - more than 400 designs in various series such as Glossy, Rustic or Matte. Blending urban spectacular designs with contemporary classic designs, they have all style to fit every taste at affordable prices.